Chief Executive Business & Development Guy at indie game studio @Vlambeer. Indie games started with a murder. So says Vlambeer’s Rami Ismail, who opened The Big Indie Fest @ ReVersed conference in Austria with a talk about what indie means today. Charting a brief history of the indie games space, he said it started as a counter-culture to what games were at the time, with a focus on core gameplay. While triple-A budgets got bigger, the mid-tier struggled to compete with the top-end and the rise of the indie scene, ultimately getting pushed out. Murdered, as Ismail put it. Back in 2010, Ismail said it was seen as inappropriate to talk about money when discussing indie. But within just a couple of years, and big selling games like Fez andSuper Meat Boy, it was okay to talk about money as well as art and design. During this period games became 'easier' to make thanks to accessible tech. But conversely, said Ismail, while it’s true making games is easier than ever, it’s now harder to sell them than ever. Ismail said the fact that more developers will fail - a result of some indies getting more successful and the difficulty of selling games - does not matter to ‘indie’ as a thing overall. The scene will continue to grow. Ismail went on to question what indie means in the modern industry. “Indie is dead,” he stated. Ismail referred to the fact that indie was never meant to be one thing when it began, but was a counter-culture, a response to what was. “It’s time to be more things,” he added. Ismail explained that indie has now grown into many different things. He compared indie games with the music industry, where he said it’s unlikely a music conference would have different sections for opera, heavy metal and new pop under one roof. That's because they are completely different mediums despite falling under the music banner - so indie shouldn't just simply be defined as that. 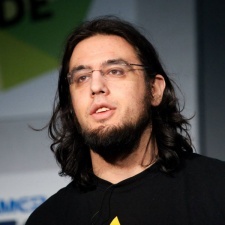 Ismail’s advice to indies then was: start by calling yourself a games studio. Want to call yourself an indie? Go for it. Don’t want to? It doesn’t matter. Ultimately developers aim to make things people enjoy. “We can be proud of that, we should be proud of that. We make games. Cheers,” he concluded.